Akin to her secular compositions, Mary's honesty gives us a glimpse into what finding her balance in spirituality and being human feels and sounds like. Mary's musical roots must have grown well before she was born. "There is no recollection of life without playing and singing," Mary claims. "My first memories are of sitting at the piano figuring out how to play songs I loved from the radio." Mary's first public singing performance was at two and a half years in front of the congregation at her family's church. Her early performance years were shared with two older sisters and often an older brother presenting original variety shows their Mother had composed and scripted. Their act was booked at community events in her hometown and neighboring areas. As Mary grew, she began composing her own material though liked to keep a low profile. Her music possessed the dark and somber quality she has been known for even from her earliest compositions. Her Mother seemed troubled by lyrics she would find lying around. And often the somber quality of her original songs were not well-received. Combining her knowledge from classical piano and vocal training with what came musically naturally to Mary, she did find her wings and the ability to soar with them. Since her self-titled release in 1996, then her 1999 "Diaphanous" release and public appearances, tours, festivals, coffee shops and many house concerts later, personal circumstance has played a pivotal role in Mary's retreat from public performance. Taking flight once again, Mary's release of Sunshine & Second Chances is a highlight of her favorite compositions spanning the decade since "Diaphanous." "I have not ever discontinued writing. When I have made a flash public appearance, typically there has been a new song or two unveiled." Feeling more prolific and relaxed in her new atmosphere of personal life, Mary smiles her happiest smile as she states, "I'm really back with a renewed enthusiasm in my existence, my music, my desire to share and inspire. This latest recording project has been a sheer pleasure in letting go, breathing in, finding inner strength and joy." 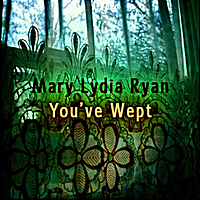 "Sunshine & Second Chances," Mary's third full length album is slated for release September 15th, 2011.